Beautiful light coming in from the south and east windows, you will always have a sunny sunset all year round to brighten every evening. Conveniently tucked in the corner of the third floor. 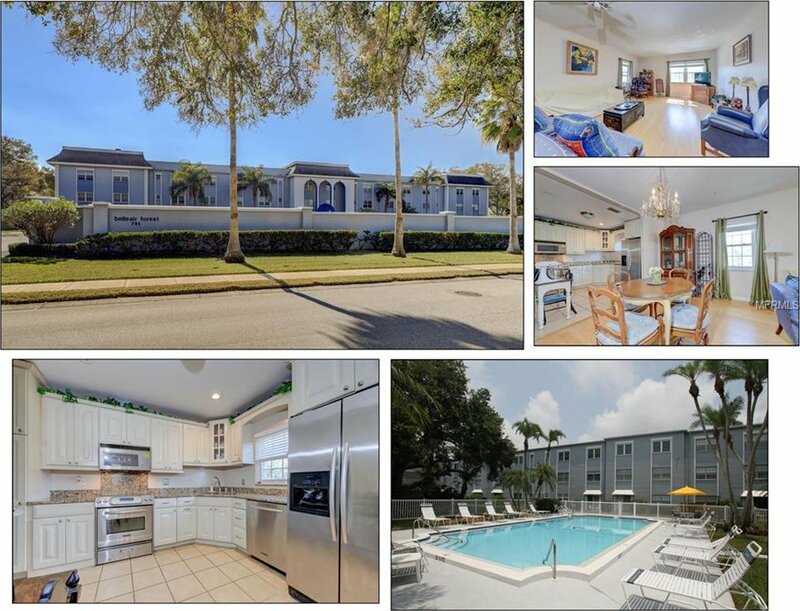 with only one adjacent neighbor and no one above, this very private and comfortable condo has all of the amenities favored in Belleair Forest. Trash chute steps from your front door, laundry facility just a short walk down the hall, stairs almost right in front of your front door, and the pool and courtyard just a short elevator ride away. On site maint and a welcoming breezeway lobby on the first floor with the mailboxes and assigned covered parking PLUS plenty of guest spaces, too. In the unit, the kitchen is white and bright and updated beautifully. Wood floors and a walk in closet, 2 full baths, spacious bedrooms and a well lit greatroom complete the package. Closing can happen quickly. The area features the Pinellas Trail nearby, plus great shopping, restaurants and the quasi-famous Teds Diner. The Belleair public Boat Ramp is maybe 5 minutes away as well as the Causeway - great walking path - and the beach. Call for your private viewing of this condo before it is too late! Listing courtesy of COLDWELL BANKER RESIDENTIAL. Selling Office: PLUMLEE GULF BEACH REALTY.